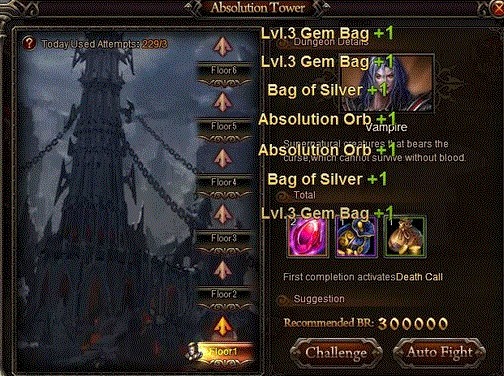 Due to the latest blitzing update, there is now an ongoing bug in Absolution Tower wherein you can do it without limit. I will not specifically mention how to do it obviously but only players who can finish Floor 15 can exploit it. I am officially warning you NOT TO EXPLOIT this bug since we will particularly hunt those players who will prefer to exploit than to report it. We are now fixing this ASAP but in case you noticed a player suddenly ramp up his gem count or anything, please report it HERE. 2019-4-23 18:51 GMT+8 , Processed in 0.045906 second(s), 36 queries .